Zero Waste is on the agenda at the region of Madrid. Despite the negative situation, positive changes are expected. 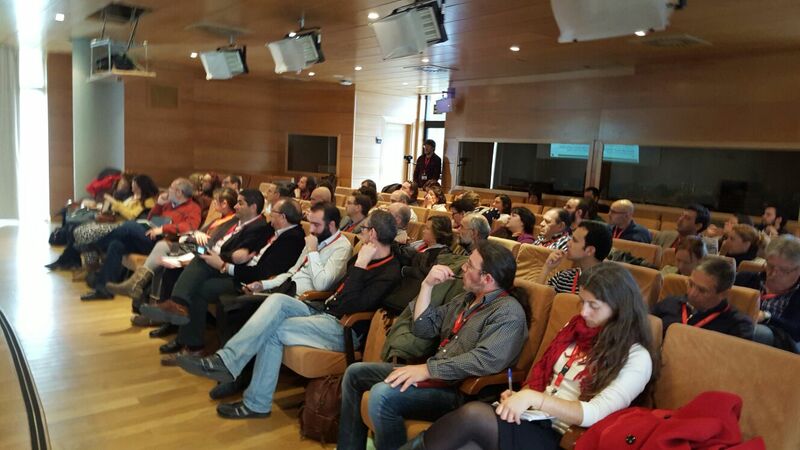 Last Friday 18th March, the Assembly of Madrid hosted a conference on Zero Waste. The aim was to present the initiatives already taking place in the Region of Madrid, across Spain and in Europe and to define proposals for the upcoming Waste Management Plan for the Region of Madrid. The event was crowded with representatives of more than 15 cities and towns of the regions, among which included the cities of Madrid and Alcalá de Henares. Zero Waste Europe presented the situation of waste management across the EU and the main proposals emerging to turn the current situation upside down: institutional initiatives such as the Circular Economy Package and civil society ones like the network of Zero Waste municipalities. The event was split into two sessions. The morning served to present the Zero Waste Madrid Platform, composed of a wide range of civil society organisations, from environmental NGOs to trade unions and neighbourhood associations, and to expose the major challenges of the current system of the region. The session addressed the main policy alternatives for the region and what the new Waste Management Plan could include to reverse their very negative situation. Among the panellists, there was broad consensus on the importance of collecting separately organic waste and addressing it specifically, and on the need to make use of fiscal instruments to incentivise the upper steps of the waste hierarchy, such as a tax on landfill and incineration. Other concerns were related to the limited existing infrastructure, and the need to shift investments away from big and rigid end-of-pipe infrastructures, such as landfills, incinerators or MBT plants, redirecting resources to those at the top of waste hierarchy, such as composting plants. The afternoon session was mostly devoted to initiatives taking place at the local level and main plans for the municipalities of the regions. Although the session intended primarily to present changes taking place in the Region of Madrid, it also enjoyed the presence of Michele Giavini, a representative of the city of Milan, who illustrated the case of door-to-door separate collection of bio-waste in a city of 1,5 million inhabitants. Additionally, the session counted on the local councillors for the Environment of Madrid, Alcalá de Henares and Soto del Real. The three cities, along with other municipalities represented in the room committed to introducing separate collection of bio-waste and to set up a mid- and long-term strategy to become zero waste. Despite the very negative situation of the Region of Madrid, very poor separate collection, lack of infrastructures at the top of the hierarchy, abuse of end-of-pipe solutions, landfills on the verge to close down, etc., local powers proved their commitment to redress the situation and their intention to push the regional government for an ambitious Waste Management Plan that accompanies and facilitates their transition.